IGN Entertainment, Inc (Gameloft) is running a promotion called “Free Game of the Month” wherein they are giving away “Prince of Persia - The Shadow and the Flame” game for Free. 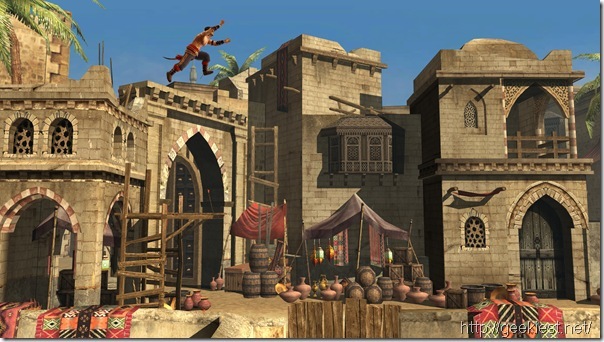 Prince of Persia continues it's legacy of best action gaming experience in Prince of Persia: The Shadow and the Flame. 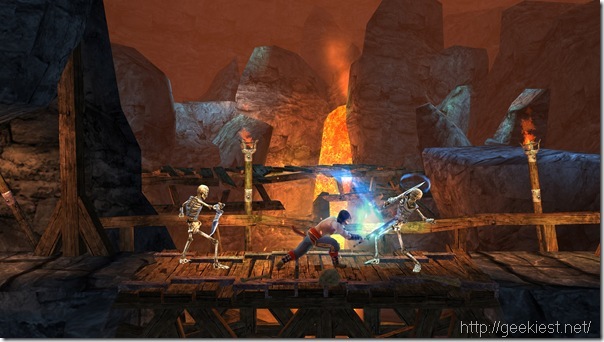 Featuring fourteen fully-rendered game levels set around five different environments, it introduces a new combat system. The storyline is based on the original Prince of Persia Classic, and takes it further wherein the wanderer who was born a Prince, must embark on an epic journey in search of his past that will redefine his future. * Experience the highly-acclaimed Prince of Persia platforming game play. * Unlock achievements and ascend the leader boards. 1. Hop to this promotion link. (Read further for the list of countries eligible for this promotion). 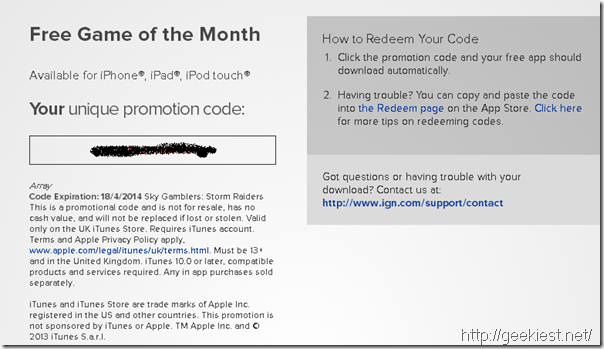 PS: This game is available only for iPhone®, iPad®, iPod touch® and the promotion code will expire on 18-April-2014.